Apple today seeded the first beta of an upcoming watchOS 5.1.2 update to developers, two days after releasing watchOS 5.1.1, an updated version of watchOS 5.1 that addressed a bug causing some Apple Watch Series 4 models to be bricked after installing the software. It's not yet clear what features will be introduced in the watchOS 5.1.2 update, but as a 5.1.x update, it's likely to be minor in scale, addressing bug fixes and making other small improvements to the operating system. We'll update this post if we find anything new in the watchOS 5.1.2 beta. 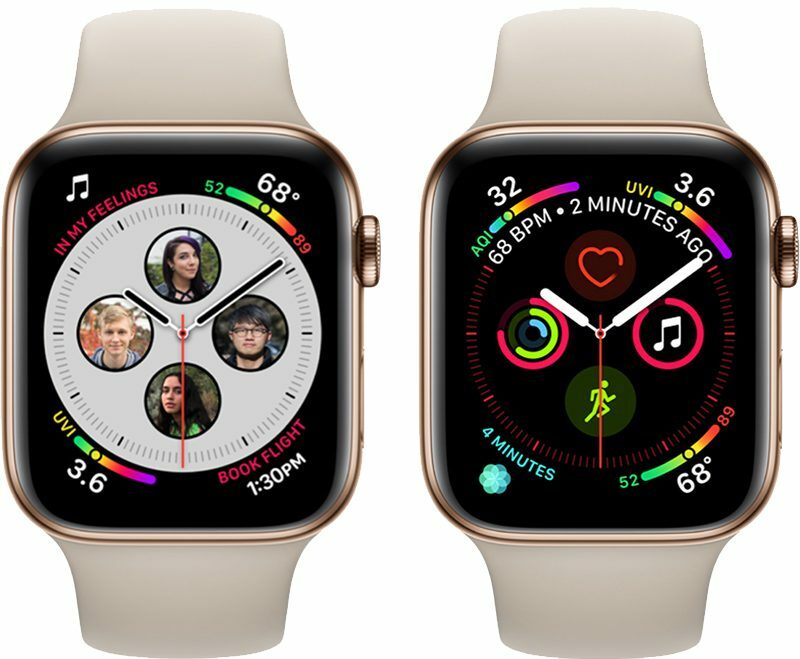 watchOS 5.1 and watchOS 5.1.1, the current release version of watchOS, introduced support for Group FaceTime in an audio-only capacity, brought new emoji characters, and included a new full-screen "Color" watch face option for the Apple Watch Series 4 models. What's new in watchOS 5.1.2: The watchOS 5.1.2 update introduces new complications for the two Infograph watch faces on the Apple Watch Series 4. New complications include Mail, Messages, Home, Maps, Apple News, Phone, Find My Friends, and Remote. My wait for an LTE/Cellular signal strength complication continues, You shouldn't have to use the Explorer watch face, you should be able to add it to any watchface. Waiting for someone to install first, and also to confirm suspected addition of messages etc complications for infograph faces. Can confirm these have been added. I really don't understand the complications. For example - shouldn't the mail complication show how many emails you have unread ? I would have thought that would be useful.. I would guess that more information about these complications will be added in a future release. For now, I'm just glad to be able to open Messages and Home without having to launch it from the Dock or using an older watch face. Is Sunrise/Sunset available as a complication on info graph now? Not sure why this took so long but I agree, great news for sure. Installed it on a S4 watch, as did the previous release.